Stay tuned for the initial schedule in Fall 2018. Can people conpete on IOS for the world cup? como puedo participar? o como se participa? I want my Moisty Mire Back!!!!! NOW...apex super fans who say that fortnite will be off........beat that if you can!!! btw dunno what marketing manager stay behind this game but is a GOD in this job. i think is my unknown twin, he do exactly what i want to do:). This will be the true born age of the esports , becoming the best , the bigger and the wealthier sport of all time. Dude, u who do that, keep it goin mate, you doing a great job. Can I do it if I'm 12? are we allowed to play stretch resolution other there? 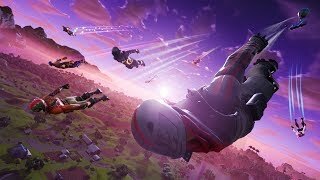 Game is dying, should have done this before you started losing people soo heavily As a good fortnite player myself i was excited for this, but quit playing because of bad updates and now better BR alternatives. 2019 FORTNITE WORLD CUP--->Published on Jun 12, 2018????????? 2018??? So 2019 100 mil confirmed? Who's here in 2019 when it was announced? In the events section, it's going to be a pop up cup! So excited for this world cup, gonna be fun! It's 2019 where is the World Cup? omg that day was my birthday! Call of duty killed you, it will be a waste, and when fitestorm kicks in, they will forget you. IT will be the game for free on ps4?